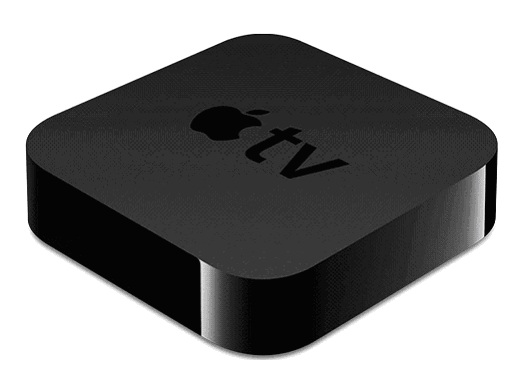 That weekend, I immediately took to the Internet to learn more about TV media players by researching the major companies selling these home entertainment devices. After comparing features and costs, I confidently chose the Western Digital WD TV Live Hub 1 TB Media Center. I found it among the best for its functionality and overall value for the price. 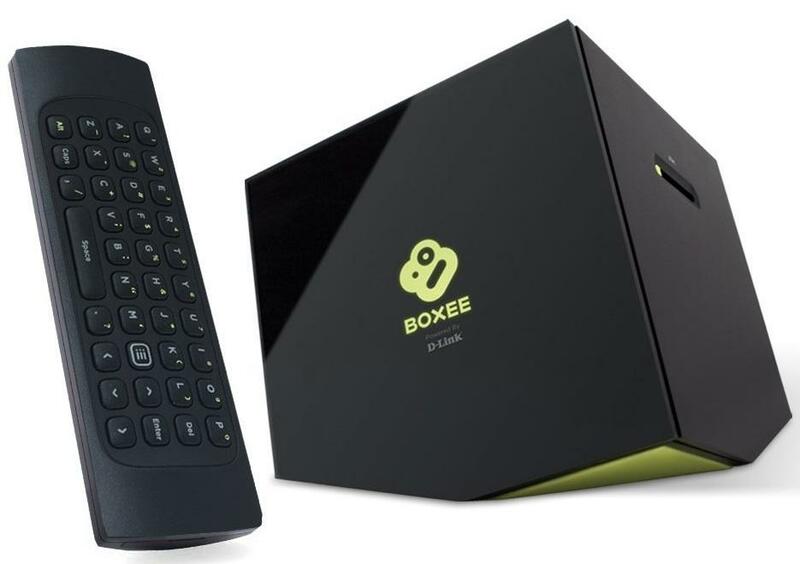 Certainly not the technically savvy type, I was pleasantly surprised how easy it was to set up this TV media player and connect it to my television and Internet. 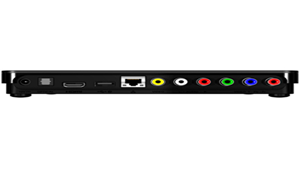 It works on standard or HD televisions as long as they have HDMI or composite video connections, which most of the latest television models have. The Western Digital WD TV Live Hub 1 TB Media Center is pretty much ready to go out of the box. You plug the console into an electrical outlet and using your own Ethernet cable, connect it to your home’s wired or wireless network and to a receiver using your own HDMI cable. Then, simply turn on the WD TV Live Hub and it will update itself in less than 10 minutes. From there, you can customize it to however you prefer using the on-screen menus. 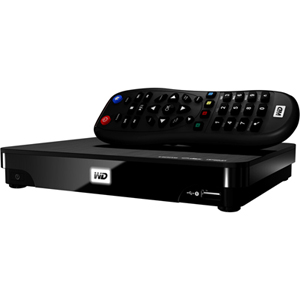 This particular model has both a built-in network hard drive and media server (features not all TV media players have), so you can stream media to any television or computer in the house using your broadband connection. Any by media, I mean anything – music, movies, photos, videos, etc. The intuitive navigation menus are extremely user-friendly, so much so that young children can understand and follow them. Likewise, organizing movies, music, photos, home movies, etc. on the Western Digital WD TV Live Hub 1 TB Media Center is quick and easy. My youngsters were excited to discover that they could “teleport” the favorite games on their personal media devices to the HDTV in our family room or any other TV in the house and play with other family members or friends. Of course, I’m thrilled that I can now play my favorite iPod tunes at home on my sound system, but I particularly love the fact that I no longer have to us my laptop to view Internet movies. That was a bonus I hadn’t expected! Because it is a network HD media player, we opted to connect its Ethernet port to our home network so we can play any type of media from the Internet, USB drives, or any PC, Mac or home network drive on any television or computer in our house. 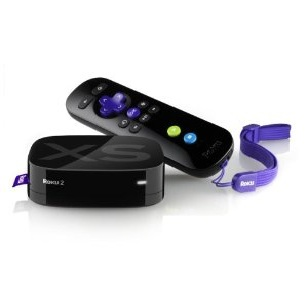 But the real plus is being able to watch movies or play Internet games in HD and surround sound. For those who subscribe to Netflix, CinemaNow, or Blockbuster On Demand, like we do, you can access your membership account through the WD TV Live Hub and instantly watch movies and television episodes. We also make good use of the TV media player’s feature that allows us to access Internet movies and television episodes through Hula Plus and Flingo. For all you techies, the technical details on this Western Digital media player are considerable. For starters, the TV media player supports just about any type of media file format, including AVI, MPG, JPEG, BMP, MP3, WAV, PLS, SRT, HD camcorder video formats and many more. The 1 terabyte (TB) hard drive is plenty sufficient for storing lots of our media and playing it, too. As a multi-room media server, any file can be streamed from the TV media player to any game console, Blu-ray disc player or a DLNA/UPnP compatible TV. 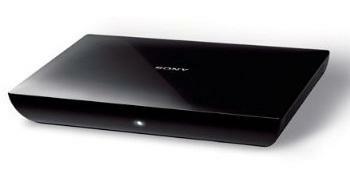 The picture quality is great with full HD 1080p video playback and the digital sound is crystal clear. This home entertainment device supports a wired or wireless Internet network connection. While I must admit there were some bugs, albeit minor, in the unit when it first came out, Western Digital has been proactive in addressing those issues and providing fixes to the problems, which automatically update when you turn the TV media player on. Occasional updates continue to enhance the HD media player’s performance. You’re going to get a lot of use out of this TV media player because it serves so many purposes. For instance, it’s a media player, playing music, videos, movies, photos, slideshows and games. Yet, it’s also a media server for all your other devices, such as PCs, portable devices, gaming systems, etc. It also provides online services, with selections that range from Netflix and YouTube to Pandora Internet radio to Facebook. And finally, it’s a storage medium for organizing, storing and accessing your media files all from one spot. What I especially like about the Western Digital TV media player is its ability to store all our media collections in one place and stream it to any television or computer screen in our house. This is a plus for homes with multiple computers and portable devices because now everything is in one spot and can be accessed from whatever computer you are using at the time. It’s also so much nicer than having storage boxes everywhere around the house and drawers filled with external storage devices. We’ve already organized our home movies, favorite tunes and much loved videos. Next up are our family photo albums! Use its photo and video app to take pictures from your smartphone or tablet and upload it to the WD TV Live Hub media center. Transfer, copy or delete files stored on a media device by following the TV media player’s on-screen menus. Listen to Internet radio on your surround system. This comes in handy for my family when we are having people over or during the holidays and want to have music playing softly in the background. View photos or videos from your digital camera or camcorder by connecting the devices directly to the TV media center. While TV media players range in price depending on their functionality, the WD TV Live Hub 1 TB Media Center is available for under $200. The TV media player has received some excellent comments from consumers on the Internet, with Amazon customer reviews giving it an average rating of 4.5 out of 5 stars. Where Can I Buy the Western Digital TV Live Hub Media Center? 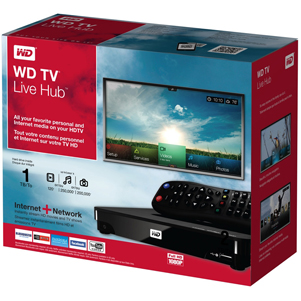 The Western Digital WD TV Live Hub 1 TB Media Center is available for purchase on Amazon. Currently, it is being offered at a reduced price and shipping is free. From the price comparisons I conducted, it appears that Amazon has the lowest price for this model, especially when you account for the free shipping. Click here to view on Amazon. Where Can I Read More Reviews for the Western Digital TV Live Hub Media Center? I found the best resource for reviews on this product is Amazon because people submitting reviews actually purchased and are using the Western Digital WD TV Live Hub 1 TB Media Center. Click here to read more.